Did you know that approximately 6.6 billion web searches are performed every day? People turn to the Internet for answers, and if you can help them, you want to appear in their searches. Whether it is “Sell my house for cash,” or “Need to sell my house fast,” if you are a property wholesaler or real estate investor, you want your website to appear high in their search results. In order to make this happen, you can optimize your websites so search engines (Google, Bing) can easily find your site. SEO, or Search Engine Optimization, is the practice of organically increasing the quantity and quality of website traffic to your site. That means you can use SEO so people will naturally find you without spending a penny. Sound enticing? Let’s dive in. The topic of SEO can literally be covered in thousands of pages. It is an ever-evolving practice, as strategies and search engines themselves are forever changing and improving. A good starting point, however, are keywords. 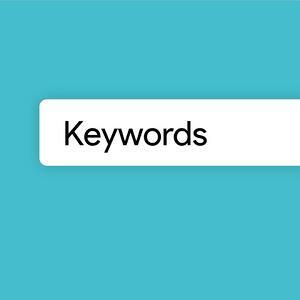 Keywords, in terms of SEO, are words or phrases on your website that act as shortcuts to sum up a page. Essentially, they help search engines find you, and there are certain words all real estate investors should have on their websites. InvestorCarrot is a guru in SEO and keyword optimization for real estate investors. They have mastered SEO to attract motivated sellers, cash buyers, tenants, and more. The best part is, they share their research. InvestorCarrot has published what they call the SEO Keyword Bible for Real Estate Investors, which includes over 70 real estate keywords and tips on how to effectively use them. The keywords are broken into categories based on who you want to attract. For instance, if you want to attract motivated house sellers, you should have the words “we buy houses” and “stop foreclosure” on your website. Download your free copy of the InvestorCarrot SEO Keyword Bible. For more Real Estate Marketing tips, see the "Real Estate Marketing" section of our blog or visit our Real Estate Marketing Page. Disclaimer: Please note that some of the links in this post are affiliate links, and at no additional cost to you, Visio Lending will earn a commission if you decide to make a purchase after clicking through the link. Please understand that we have experience with all of the companies we recommend, and choose to refer our borrowers and partners because they are helpful and useful, not because of the small commissions we make. Please do not spend any money on these products unless you feel you need them or that they will help you achieve your goals.